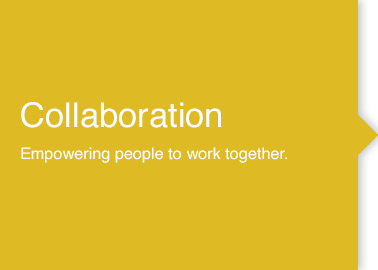 Collaboration has captured the attention of businesses seeking a competitive edge in a challenging economy. Collaboration solutions seek to integrate many of the business systems people use on a daily basis — phone, voice and video conferencing, messaging, calendaring and presence — to make them less time-consuming to operate and easier to manage. Most organizations are challenged by their communications infrastructure since employees have become increasingly decentralized and mobile. They also want more sophisticated, 24x7 systems that provide real-time information in a seamless experience across their desktops and mobile devices. PCM provides solutions that bring people and information together to accomplish common goals and increase productivity. Solutions like IP, soft and mobile phone products, tablets, video conferencing, digital signs and conferencing software can all aid in streamlining collaboration. Call your Account Executive today and we’ll help you find the right mix of communications services for your organization, as well as a plan for optimal deployment, training, and support. Unified Communications (UC) is the integration of real-time communication services such as instant messaging (chat), presence, telephony, video conferencing, call control and speech recognition with non real-time communication services such as unified messaging (integrated voicemail, email, SMS and FAX). Improve team productivity, strengthen customer relationships and scale expertise throughout your organization with easy with tools for voice, video and web conferencing. Offering solutions which manage and secure your infrastructure, information, and interactions to protect your customers. Trend Micro’s real-time protections, work in concert with leading anti-malware, anti-spam, and content filtering security to stop the wide range of threats—immediately and automatically.